The optometrists in Tomball understand that making a decision about your eye health, eye care services and eyewear goes beyond good vision and makes a statement about who you are. Your decision affects how you see and also how you want to be seen by others. But with so many different styles to choose from, getting the right look for your face and your lifestyle can be overwhelming. The staff of Tomball TSO will help you find the best fit for your specific needs and explain how different lenses and frames will impact your vision. They will help you narrow down your choices so you can find the look, fit and functionality you want from your eyewear. 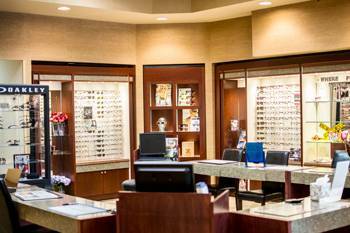 We offer a large selection of eyeglasses, contact lenses, designer frames and sunglasses at our Tomball optometrist office near Pinehurst and Magnolia TX. We carry the latest European and American designer eyewear collections in a variety of styles, colors and materials including titanium, stainless steel and plastic. Our Tomball eye doctors welcome new clients and all our current patients to visit us with their current prescription – no appointment necessary. We offer the widest range of contact lenses in Tomball, TX. We can fit your needs including contact lens exams and fittings. When buying a pair of eyeglasses for your child bring them along. Your child should like how the glasses look and feel. When they wear their glasses they can be successful at everything they do.